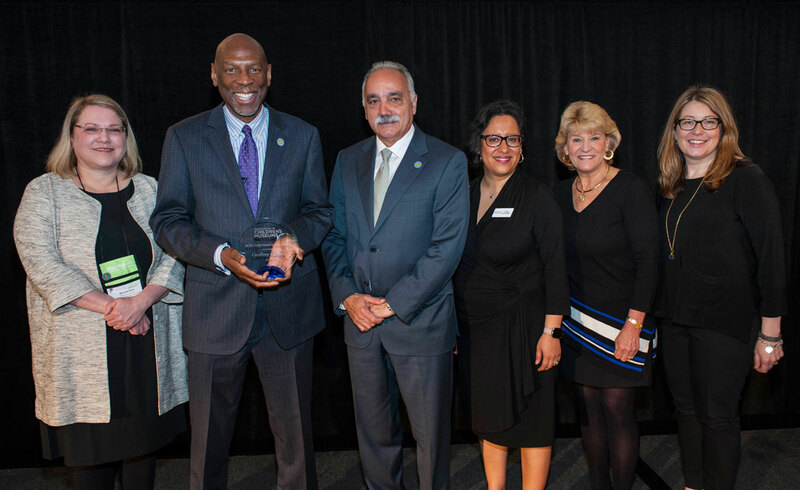 Harlem Children’s Zone’s Geoffrey Canada is honored for strengthening the community. 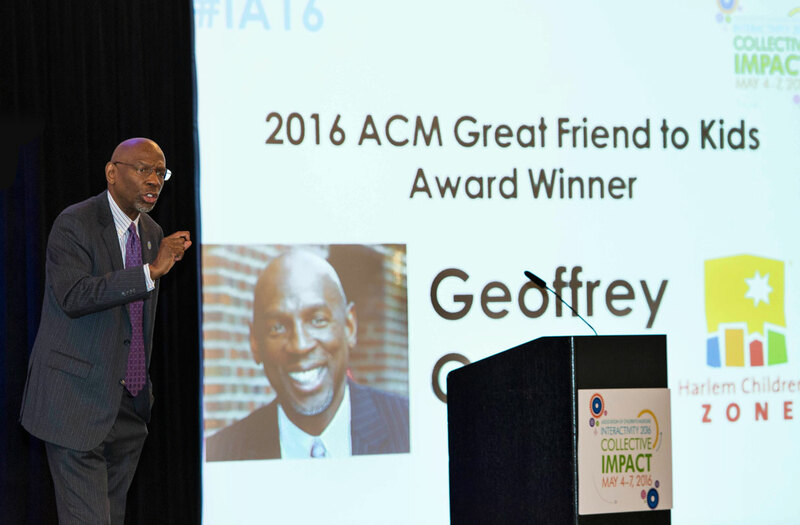 ACM presented its 2016 Great Friend to Kids Award to Geoffrey Canada. The Association of Children’s Museums’ (ACM) membership and board of directors adopted a resolution defining and guiding the growing role of children’s museums in closing the achievement gap during ACM’s annual InterActivity conference. Reflective of this achievement and the conference’s “Collective Impact” meeting theme, ACM also presented its 2016 Great Friend to Kids Award to Geoffrey Canada for his vision to end generational poverty in Harlem through the Harlem Children's Zone® — an educational and community partner providing a variety of services for children and families. Hosted by Stepping Stones Museum for Children in Norwalk, CT from May 4-7, InterActivity 2016 focused on children’s museums’ “Collective Impact” by exploring how children’s museums are part of the fabric that helps strengthen communities and solve complex educational and social problems. The conference convened hundreds of leaders from children’s museums and supporting organizations to learn about and advocate for the role of children’s museums in closing the achievement gap, promoting kindergarten readiness, and igniting children’s interest in science, technology, engineering, and math (STEM). recognizes the commitment of children’s museums to serving all children and families and supporting educational equity. recognizes the important role children’s museums play as community resources, stakeholders, experts, and conveners in the world’s learning ecosystems. acknowledges the critical value of partnership and taking collaborative action for closing the achievement gap. commits ACM members to collect and disseminate data on the impact of children’s museum efforts to help shape programming to reduce the achievement gap for children age 8 and younger, especially during the summer months. 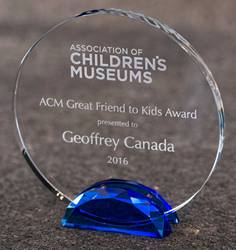 The ACM Great Friend to Kids Award honors individuals or institutions with a track record of making significant and outstanding contributions to strengthening education and advancing the interests of children. Geoffrey Canada, the founder and long-time leader of The Harlem Children’s Zone® (HCZ), is this year’s winner for his pioneering efforts to help children and families in Harlem, and as a thought leader and passionate advocate for education reform. Founded in 1990, today HCZ serves more than 11,000 youth and 8,000 adults and has become a national model. Canada and HCZ have been featured in the documentary Waiting for Superman, as well as on 60 Minutes, The Oprah Winfrey Show, and Anderson Cooper 360°.